Create your own sparkly manicure with this Make It Real Nail Art set. Each colour features both a nail brush and pen in one convenient tube, making for a great, high quality starter set. Colours: red, orange and green. 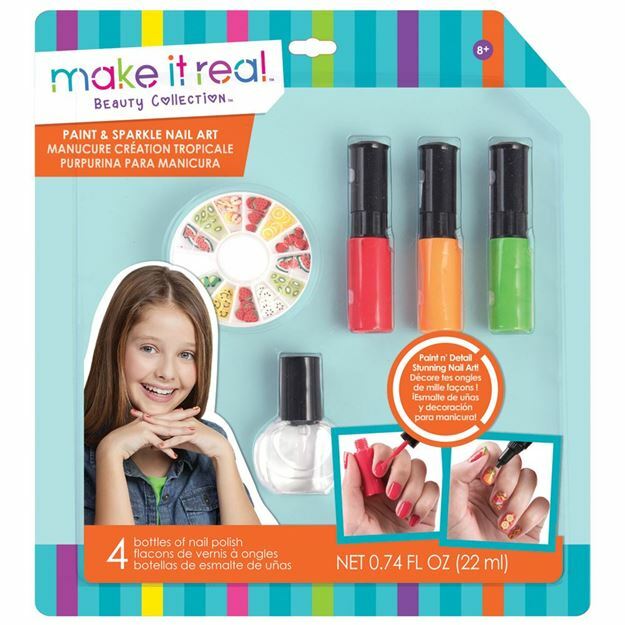 Includes: 3 nail pens, a top coat and nail gems. Age 8+ years. Part of the Beauty Collection. Distributed in New Zealand by Holdson.